There’s more to Thailand besides Phuket. If you wish to enjoy stunning beaches in the Southeast Asian country, you can check out the other islands which offer less touristy attractions than the popular Phuket beaches such as Patong and Karon. Thailand’s second largest island, Koh Samui, or Ko Samui, is where you’ll find numerous beaches such as Chaweng Beach, Lamai Beach, Bophut Beach, Maenam Beach, and Lipa Noi Beach. Choosing the one to settle in during your Thailand trip really depends on your agenda–whether you want to party, just laze around the beach, or interact with the locals. 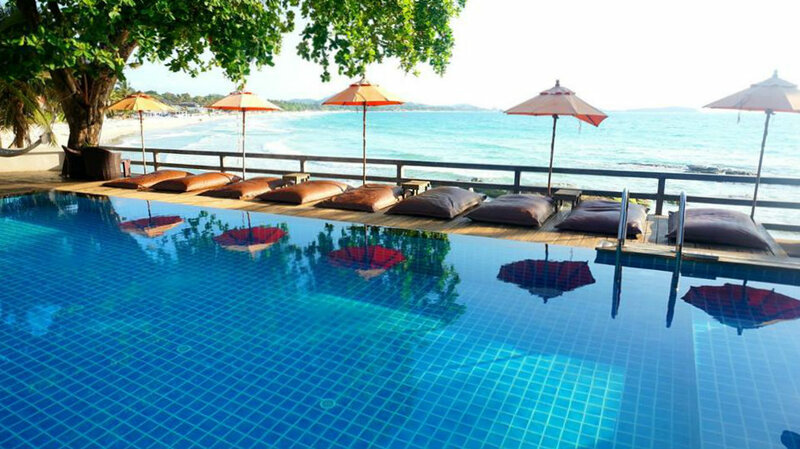 If you want a mix of the party scene and a quiet beach though, Chaweng Beach is an ideal choice. While the place is home to resorts which offer a vibrant nightlife scene (some of the musical performers are even Filipinos), the southern end of the beach offers more peace and quiet that’s difficult to enjoy in Phuket, especially during peak seasons. 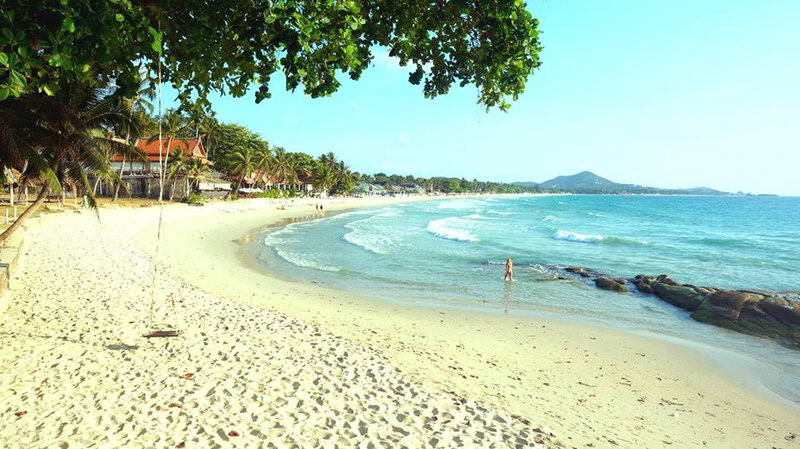 Chaweng Beach is also a good jump-off point for exploring nearby Koh Samui tourist attractions and beaches such as Koh Tao and Koh Nang Yuan and Ang Thong Marine National Park. 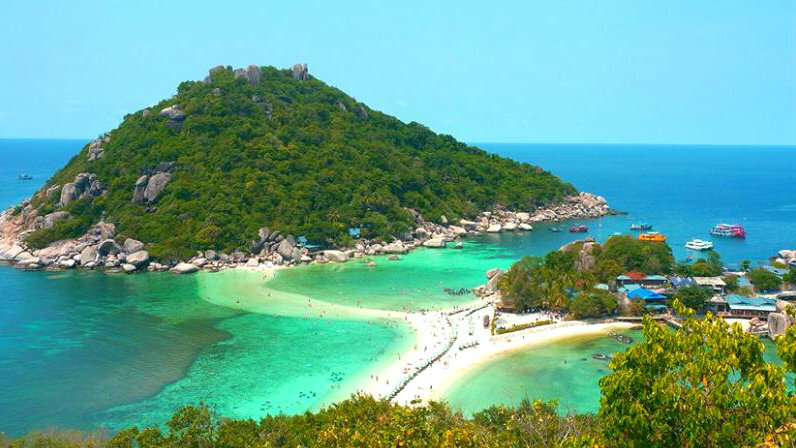 Koh Tao is where you’ll find Mango Bay, which is almost always included in a Koh Samui island hopping tour. This is usually the first stop, where you’ll get to enjoy snorkeling. There’s also a viewing deck where you can enjoy splendid overlooking views of the beach. This is by far one of the most beautiful beaches I’ve seen. Popularly known for its breathtaking vista of the beach connected by three sandbars and clear and vibrant turquoise waters, Koh Nang Yuan will undoubtedly mesmerize anyone who steps foot on the island. Its gorgeous sandbar divides the beach into two areas, and its bright aquamarine waters bordered by a lush mountain and huge rocks make up a postcard-worthy view. If you’re adventurous (and energetic) enough, you can trek all the way to the viewpoint, where you can enjoy incredible 360 views of the island. Also a popular day trip destination from Koh Samui, Ang Thong National Marine Park is a beautiful archipelago of 42 islands. The spectacular overlooking view of the islands huddled together is a must-see here and actually one of the reasons tourists flock to the place. The view from above is actually similar to that of Halong Bay in Vietnam, except that the water in Ang Thong is a beautiful turquoise and not emerald, and islands instead of limestone formations stand on the vast body of water. This is also where you’ll find Emerald Lagoon, which you can see by climbing steep, narrow wooden stairs to the viewpoint. The lagoon boasts vivid emerald waters and is bordered by huge limestone rocks. 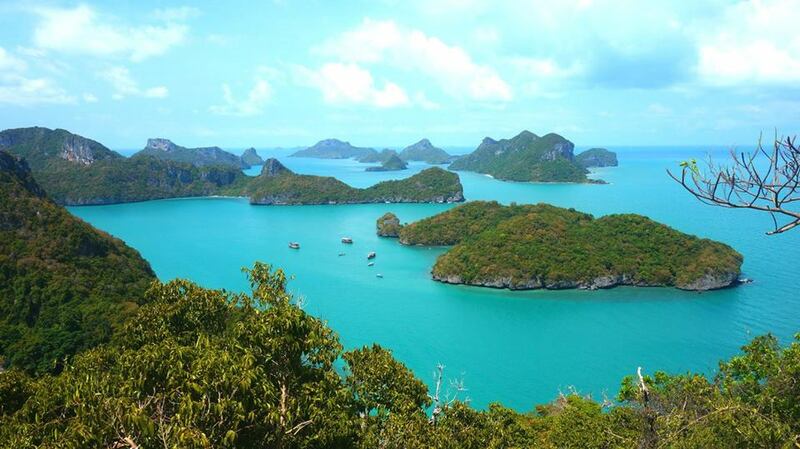 Another stop in an Ang Thong National Marine Park tour is Koh Wua Talap, which is home to a white sand beach. The popular activity here is climbing to the viewpoint, where you can soak up the entire view of the national marine park. However, getting to the viewpoint is no walk in the park, as the rope-assisted trail comprises huge, sharp, and slippery rocks. Unlike in Koh Nang Yuan and Emerald Lagoon, the trail to the viewpoint doesn’t have stairs, so trekking slippers/shoes are a must. The rewarding views on top are worth the effort though. 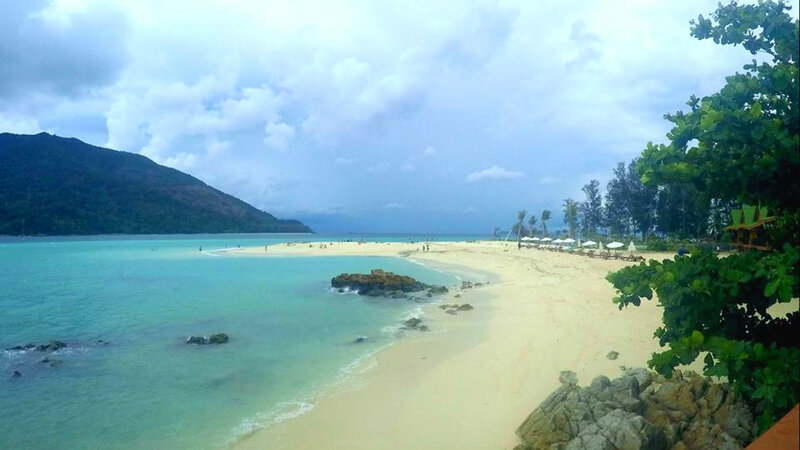 If you wish to have a beautiful island all to yourself, Koh Lipe is your best bet. Located in the South Andaman Sea, it’s often dubbed the “Maldives of Thailand” for its pristine beaches with fine white sand and clear turquoise waters. There are three beaches here: Pattaya Beach, Sunrise Beach, and Sunset Beach. Pattaya Beach is the biggest and most popular, where most of the establishments can be found. The beach has talcum fine white sand, the kind where your feet sink in as you walk along. Sunset Beach, on the other hand, is the perfect getaway for those who want to enjoy an island all to themselves. Only a few resorts can be found here, with Mountain Resort being the most popular. Located at the tip of Sunset Beach, Mountain Resort has exclusive access to a beautiful sandbar at the tip of the island. The mesmerizing view is the poster image of Koh Lipe, both online and on postcards.